The Kabbalah of Bob Dylan: Multimedia Program, 70th B’day Tribute Concert and Booksigning, May 22, Club Helsinki, Hudson, N.Y. Through spoken word, digital imagery, recorded music, live music, and rare video footage, Seth Rogovoy — author of “Bob Dylan: Prophet Mystic Poet” – will explore the Jewish Prophetic roots of and influences upon Bob Dylan’s life and music. Immediately following the presentation, Seth Rogovoy and band will perform a 70th birthday tribute concert to Bob Dylan. This event is part of Club Helsinki Hudson’s multi-evening celebration of Bob Dylan’s 70th birthday, which continues on the actual birthdate, Tues, May 24, with “Forever Young: A 70th Birthday Tribute to Bob Dylan,” in which Seth Rogovoy will also perform. There will be a Q&A and a booksigning immediately following the presentation. Stockbridge Library; Sun Feb 13; 5:30 p.m. 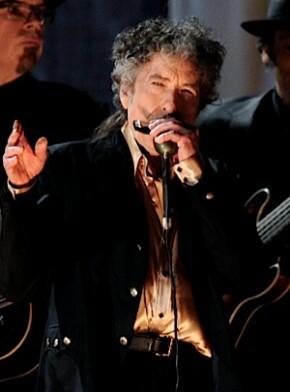 Immediately following the presentation, Seth Rogovoy and band will perform a 70th birthday tribute concert to Bob Dylan. Following the concert, there will be a booksigning courtesy of Spotty Dog Books & Ale of Hudson, N.Y. This event is part of Club Helsinki Hudson‘s multi-evening celebration of Bob Dylan’s 70th birthday, which continues on the actual birthdate, Tues, May 24, at 7, with “Forever Young: A 70th Birthday Tribute to Bob Dylan,” in which Seth Rogovoy will also perform. I was honored to be featured as #69 in the 70-day countdown to Bob Dylan’s 70th birthday, which takes place on May 24, 2011, on the Bob Dylan Examiner. Through spoken word, digital imagery, recorded music, live music, and rare video footage, Seth Rogovoy — author of “Bob Dylan: Prophet Mystic Poet” –will explore the Jewish Prophetic roots of and influences upon Bob Dylan’s life and music. This event is FREE; there will be a Q&A and a booksigning immediately following the presentation. Stockbridge Library; Sun Feb 13; 5:30 p.m.